mySCADA is a very flexible tool that allows you to modify the visual appearance of your project in a runtime environment freely. You are free to change the fonts, colors, and icons to fit your company’s visual guidelines. For visual appearance set up, click on your project and then click on the color palette icon in the Main Toolbar. 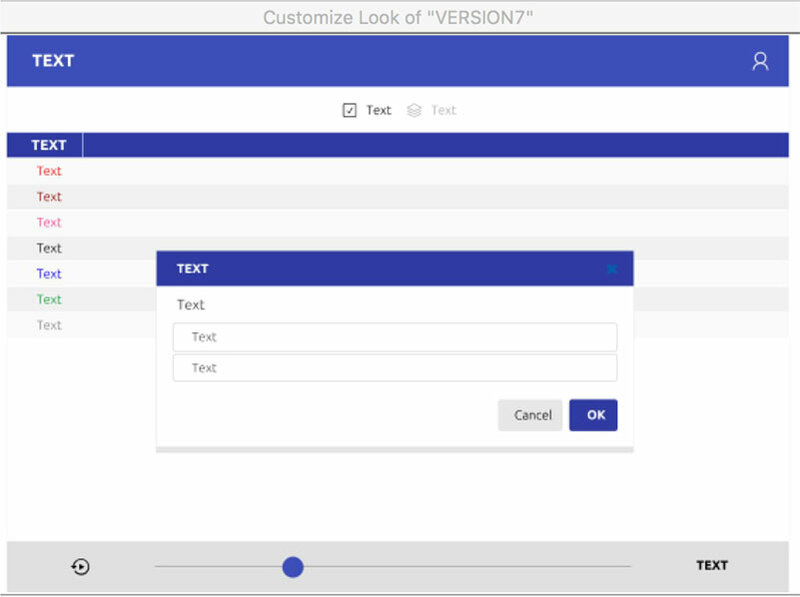 In the dialog, you can see options for the visual appearance of your project in a runtime environment. 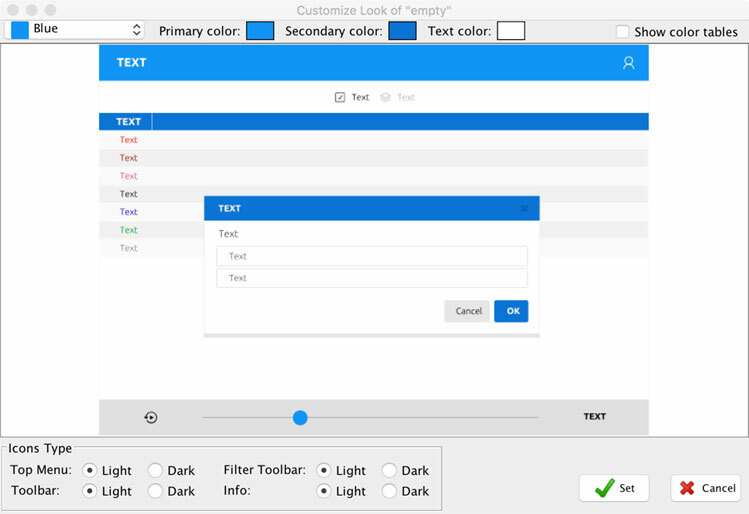 If you change any color or visual option, you can immediately see how this option is displayed in the runtime environment. The simplest way to change the default visual appearance is to set a new default color. 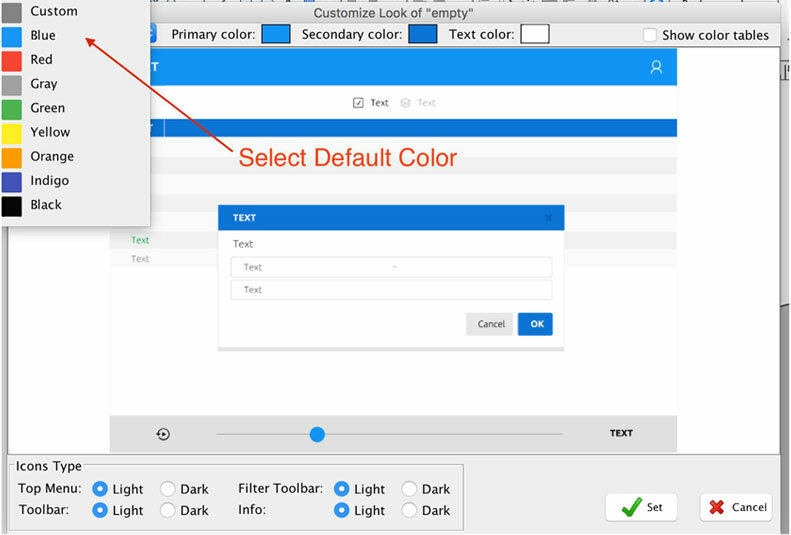 To do so, click on a corresponding color in the “Default Colors” section. You can very easily change the color scheme to any colors you like. Just click and change the Primary, Secondary, and Text colors. You can change the Icon colors in the section “Icon Colors.” For each visual section of the runtime environment, you can specify different icon colors. They are split into two parts: Alarms and Other Colors. 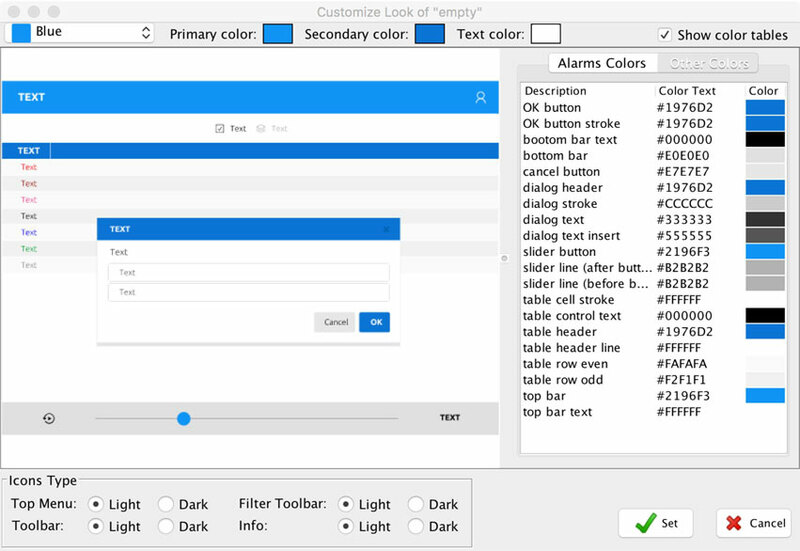 In the Alarms section, you can set the colors of the text for any type of alarm. In the Other Colors section, you can fine-tune the appearance of almost any element in the runtime environment. You can save your changes for use in other projects. 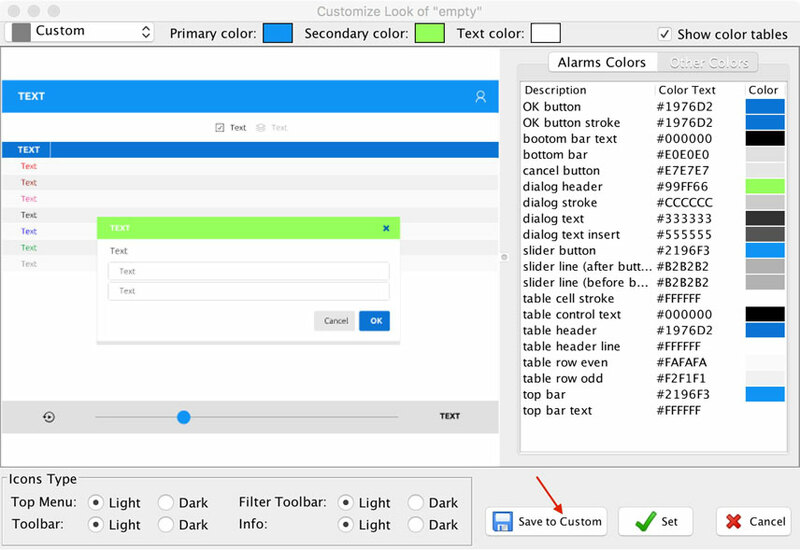 When you change any color or parameter, the “save to custom” button is automatically shown. You can delete your custom saved appearance by clicking the “Delete” button.